Tasting Australia presents Urban Pantry in Rundle Mall under the Gawler Place Canopy from April 5 to 14. 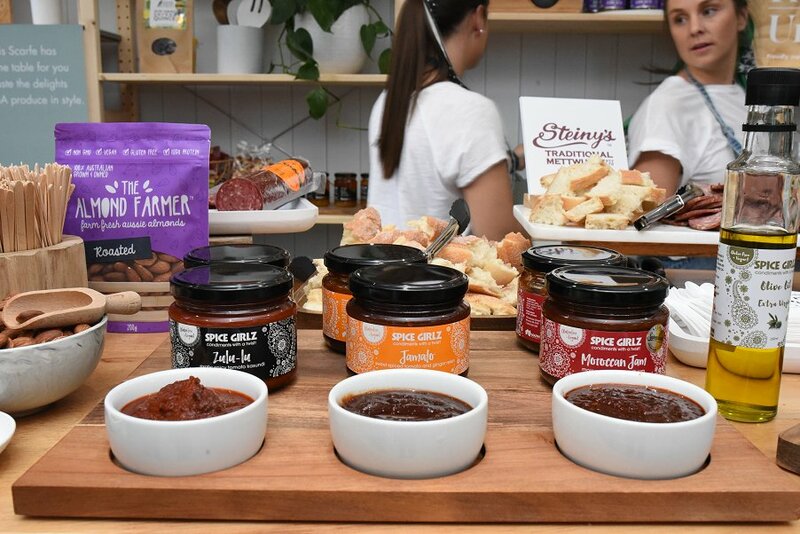 Open daily from 10am to 6pm, the pop-up pantry showcases over 30 South Australian quality producers. You can browse and sample produce for free and purchase your favourites. The Urban Pantry will feature exceptional artisans and prominent local food and beverage brands by SA regions. On Thursday April 4, Adelaide Food Central was invited to the media opening of Urban Pantry. We had the pleasure to try some of the amazing produce that will be on offer over the following fortnight available to the public to try and buy. The Urban Pantry has all the perfect items to put together your next wine and cheese night or inspiration to create an Insta-worthy grazing table. 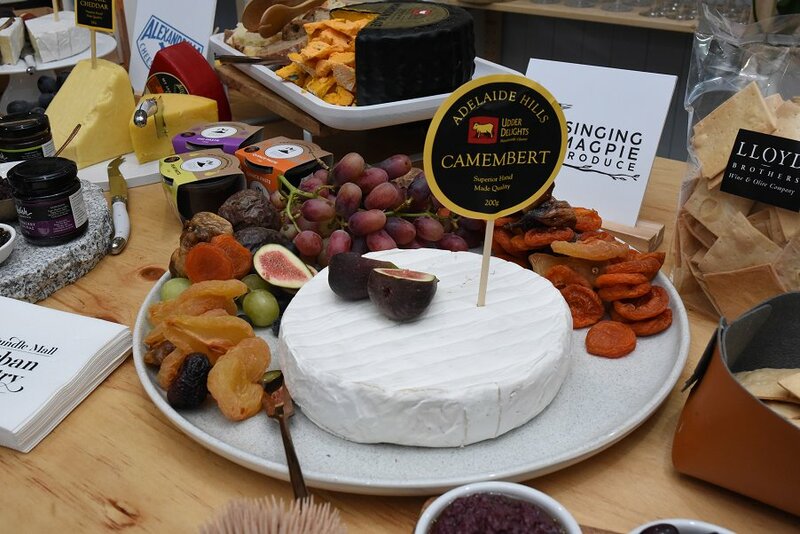 Starting with the cheeses (a party essential), Udder Delights from the Adelaide Hills produce handmade cheese in their Lobethal factory. Their range of cow and goat cheeses include blue cheese, brie, camembert and chèvre. The Chèvre is a highlight; a soft goat’s cheese with a dense creamy texture. Urban Pantry showed us covering the chèvre in Buzz Honey’s Blue Gum makes it even more tasty. Both Buzz Honey and Udder Delights are available Sun 7 and Mon 8 at Urban Pantry as a part of the Adelaide Hills range. For meat-lovers, Steiny’s Traditional Mettwurst crafts traditional garlic, cracked pepper and kangaroo mettwurst that is distinctive to the Barossa. Satisfy your guests with more from the Barossa range, like rubs or marinades from Relish the Barossa. 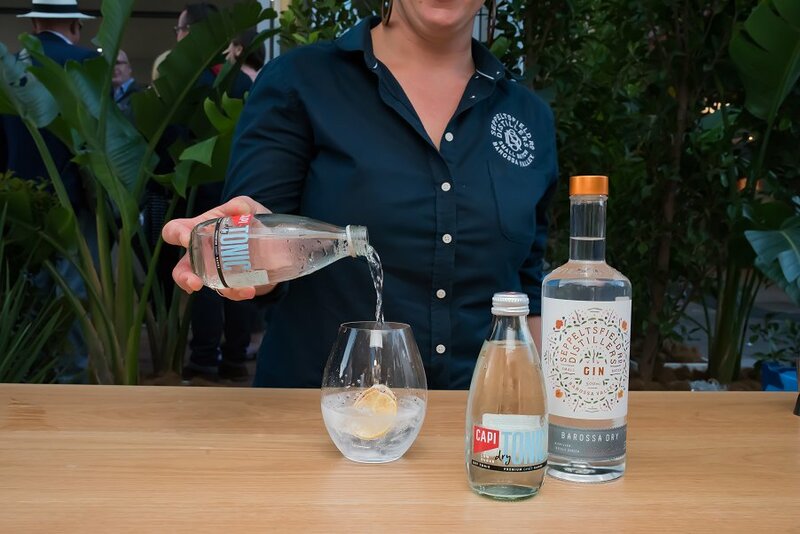 Relish’s Blueberry and Shiraz or Pear and Tonic will make you feel as if you’re doing something a little naughty and exclusive but it’s available for all to enjoy with a cheeseboard, meat or salad. Try out Relish the Barossa, Steiny’s Traditional Mettwurst and other Barossans Tuesday 9 and Wednesday 10. And if you’re looking for a relish, Spice Girlz have you covered. Their range of flavours are suitable for every foodie occasion, from BBQs and curry, to pizza bases and breakfasts. We tried their Zulu-lu, Jamato and Moroccan Jam – a lovely capsicum-based jam with chili and spices. Plus, their gluten free and vegan friendly! The Fleurieu Peninsula also brings us the Lloyd Brothers – a wine and olive producer. Sample their beautiful Kalamata olives with a refreshing taste of their Pinot Gris. Lloyd Brothers and more wonderful Fleurieu Peninsula brands will be at the pop-up pantry Thursday 11 and Friday 12. For tastes of the Riverland pay special attention to Illalangi who provide so many local gourmet goodies. On show at the pantry is their award-winning caramelized wattleseed balsamic and yummy dukkah, all waiting to be dipped with bread. For something sweeter, the Almond Farmer have almond butter in 100% pure and chocolate flavour to test. Check out more produce from the Riverland Saturday 13 and Sunday 14. 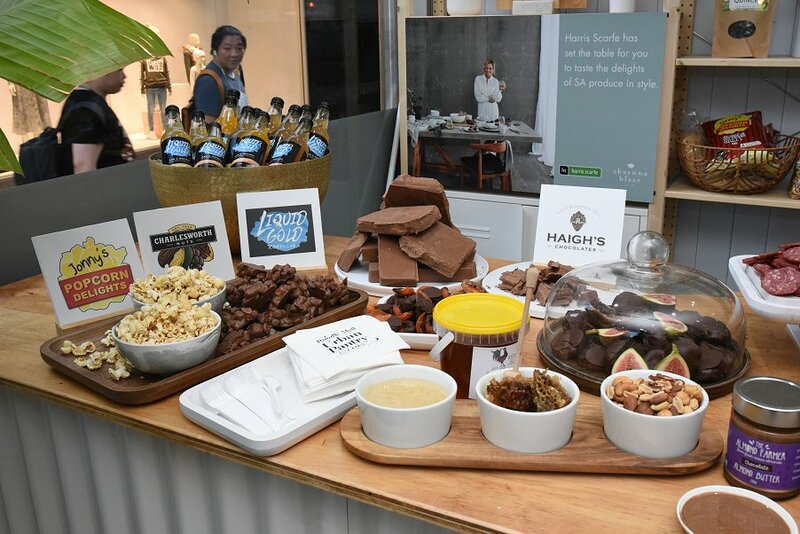 While Urban Pantry is in the mall, iconic Rundle Mall brands Charlesworth Nuts, Haigh’s Chocolates and Jonny’s Popcorn will provide some sweet samples to satisfy your snacking needs. And before you know it, you’ll be popping into the stores to grab some more to take home for loved ones (or just yourself)! Next time you’re in the mall, taking a lunch break or shopping in the city, step into the Urban Pantry to discover all the produce made here in SA. Have a sip of Seppeltsfield Rd Distillers gin and take a picture using the cute swing. If you find a new love or classic favourite, splash out on gifts for a foodie friend or take it home to stock your own pantry. Urban Pantry will be in Rundle Mall under the Gawler Place Canopy April 5 – 14. Open daily 10am to 6pm. Free entry.